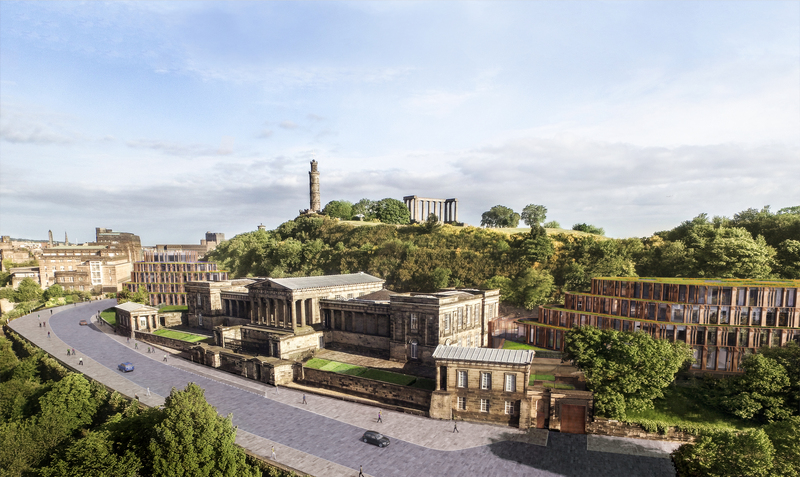 “Members of the public and interested groups will be able to see our revised design for restoring the Old Royal High School and reinvigorating the public space around this side of Calton Hill. Significant modifications have been made to the scale of our plan. We have made changes to the scale of the hotel following a series of design workshops earlier this year with planning officials, taking careful consideration of heritage aspects and public comment from our previous proposals. “The design combines the sensitive, fully-funded restoration of an architectural masterpiece, currently at risk, with the creation of a world-class place for people from around the globe to experience the best of Scotland. “The building’s architectural significance links back to the Scottish Enlightenment and the projection across the globe of Scottish thinking in science, philosophy, economy and the arts. The worldliness and ambition that underpinned that great age is an essence we want to draw upon in creating with Rosewood Hotels a space in which all that is truly excellent in Scottish food, culture and music can be celebrated with the rest of the world.